Tonight we enabled a new communication tool to help us share information about PD Links. Dashboard messages are useful for quick updates but sometimes we need longer form communication. Here we will share new and upcoming features. You'll notice that signing in is a little different. To sign in click on "Sign In". 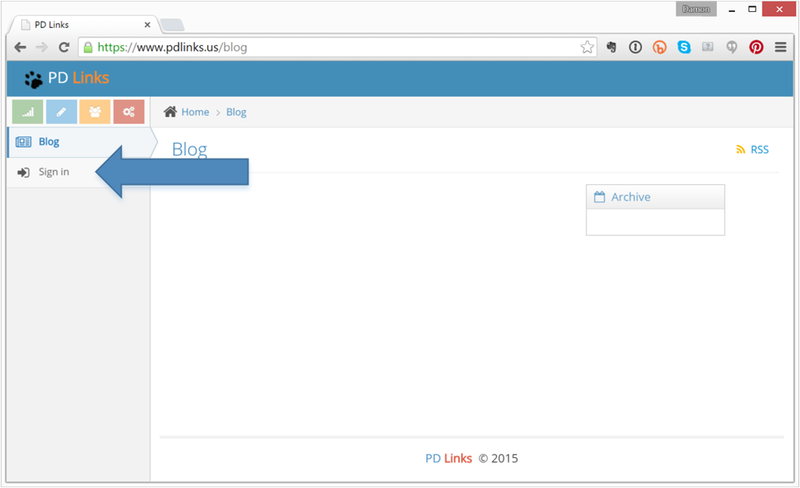 Once you do that, you'll see your normal PD Links Dashboard and menu options. Stay tuned to this space to learn of new and upcoming developments.